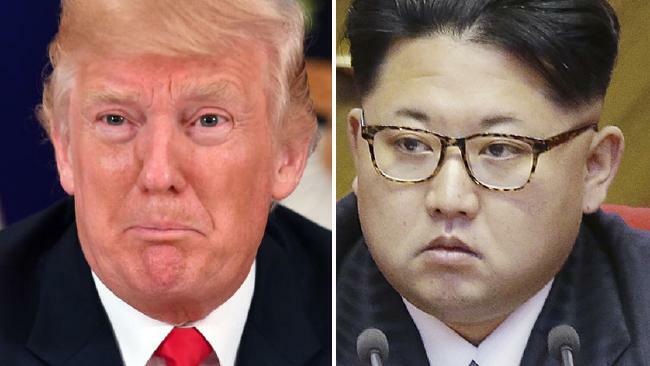 Are both of these leaders using the "madman theory"? Or are they actually mad? Are we really on the brink of nuclear war? US President Donald Trump is making major threats against North Korea and North Korea is making wild threats straight back. 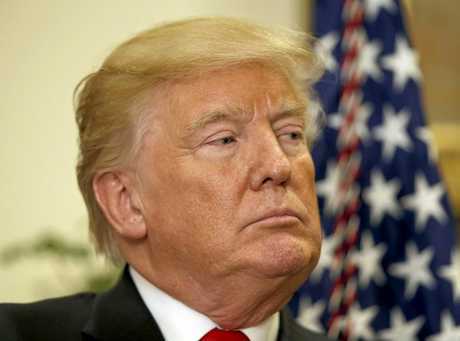 On Tuesday Trump pledged to rain down "fire and fury" on the state led by Kim Jong Un, then tweeted about the strength of America's nuclear arsenal. North Korea threatened to bomb US territory Guam. On Thursday Trump doubled down, saying his previous threats were not tough enough. Trump is talking far tougher than Obama or Bush ever did. The traditional American political establishment is getting quite nervous. Is Trump a madman, or is his behaviour actually genius? "I call it the madman theory, Bob," the Republican Presidential nominee had told his closest aide, walking on the beach one day in 1968. "I want the North Vietnamese to believe I've reached the point where I might do anything to stop the war. We'll slip the word to them that 'For God's sake, you know Nixon is obsessed about Communism. We can't restrain him when he's angry - and he has his hand on the nuclear button.' And Ho Chi Minh himself will be in Paris in two days, begging for peace." For a nuclear threat to be credible it has, of course, to seem real. Trump's apparent willingness to take the wraps off US nukes for the first time since 1945 is frightening. And that could be exactly the point. Everyone knew Obama was cautious and considered - he couldn't believably use madman theory. Trump could be executing a strategic pivot that only he can pull off. And maybe it's time. Western strategy against North Korea hasn't exactly been a success story so far. After many years where the major goal was to prevent North Korea from obtaining nuclear weapons and intercontinental ballistic missile powers, they have obtained nuclear weapons and intercontinental ballistic missiles. Sanctions and talk and the implied threat of force have failed. Perhaps what is needed is the explicit threat of force to make North Korea behave? If Trump is trying the madman theory strategically, it suggests that he thinks Kim Jong Un's regime is strategic too at some level. There's not so much point trying to be strategic against an actual madman. North Korea also issues wild threats on a regular basis but has yet to really bomb anyone so it is possible Kim Jong Un is also applying madman theory. It's fair to question how it's working out for him. His country has obtained a nuclear weapon, but it has also made most of its population starve. According to the World Food Program, one in three North Korean children is stunted due to lack of nutrition. Here's our problem: Any madman theory applied sufficiently well is impossible to distinguish from true madness. Trump has threatened a pre-emptive strike on North Korea. Kim Jong Un has pledged to bomb Guam. Neither man can give us a wink to let us know he's bluffing. We're left unsure of what's really happening. WHAT IF IT IS A BLUFF, BUT IT DOESN'T WORK? Crises with North Korea happen quite regularly. They occupy the headlines for a few weeks and drive stock markets down, then they fade away. The ongoing uncertainty is bad for everyone, not least the citizens of Seoul, which is only about 60km from the North Korean border and lives under threat of attack. By playing the madman, Trump might just be able to change the behaviour of North Korea for good, and end the uncertainty. Alternatively he might have no effect. Remember, Ho Chi Minh never begged Nixon for peace. The Madman theory is not really proven to work. This stalemate of two pretend lunatics feigning promises to rain hellfire on each other could stretch on for years. WHAT IF IT ISN'T A BLUFF? Donald Trump doesn't play by the rules.He hates conventional approaches. Instead he plays by gut feel and takes a lot of risks. No other Presidential candidate has got away with what he said and did during the campaign. It would hardly be surprising if he feels like he can trust his judgment above advice of military officers who served prior administrations. Can we trust Trump's judgment in matters military? He takes a great deal of his information from Fox News. He has no military history and, at age 70, there is evidence he is experiencing some cognitive decline. He is also under a lot of stress. His legislative agenda is stalled. Repealing and replacing Pyongyang might start to seem a lot easier than repealing and replacing Obamacare. If he does, the decision is easy to act on. A US military officer follows Trump with the 'nuclear football.' It is a briefcase that contains the codes that permit a nuclear weapon to be launched. The US President is Commander in Chief of the American armed forces and is able to launch nuclear weapons without consulting anyone at all. America has intercontinental ballistic missiles in tubes all over the west of the continent. You can find them on Google maps: In the flatlands, little driveways lead to circles on the ground. Below them lurk the Minuteman missiles. The US has around 450 of them, and they can fly at about 28,000kmh. Submarines are also nuclear armed and could launch against North Korea. A nuclear strike against North Korea could kill a lot of people. 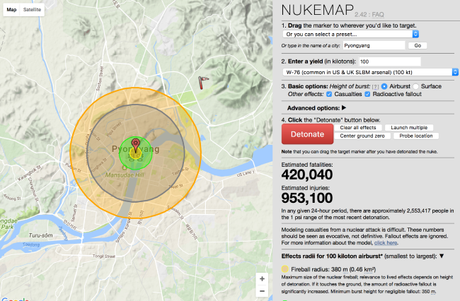 You can use the Nukemap to calculate the effect of various types of attack. The precedent of the US nuclear attack on Japan suggests attacking the capital is not the first step, but if a 100 kiloton bomb were dropped on Pyongyang it could kill over 400,000 people. That's a civilian toll surpassed by only a few infamous leaders in history. It would take Donald Trump just a few angry minutes to join their ranks. "My suggestion was quite simple. Put that needed code number in a little capsule and then implant that capsule right next to the heart of a volunteer. The volunteer would carry with him a big heavy butcher knife as he accompanied the President. If ever the President wanted to fire nuclear weapons, the only way he could do so would be for him first, with his own hands, to kill one human being. "The President says, 'George, I'm sorry, but tens of millions must die.' He has to look at someone and realize what death is - what an innocent death is. Blood on the White House carpet. It's reality brought home." It sounds like a clever idea, but of course a US President who wanted to make nuclear bluffs under this plan would have to act even madder: Not just strategically loose and heedless of consequence, but also strong of arm and quite bloodthirsty. You wouldn't want to even imagine President Trump playing that role.